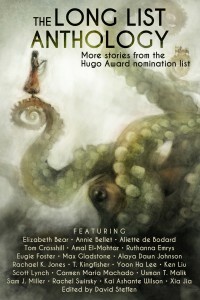 The Long List Anthology Released! Today marks the official release ebook and audiobook versions of the Long List Anthology, a collection of stories published in 2014 from the Hugo Award nomination list. (The print version was released not too long ago). See the Books page for a link to all of the different vendors for the different formats. In case this is the first you’re hearing about this, I ran the Kickstarter to fund this anthology in October, which you can see here. I hope you enjoy the stories in this book as much as I have. Share links! Leave reviews!